Article and photos by Eric Hurwitz. I know many of you want to stay in a New England village that is as pretty as a postcard and at an inn or bed and breakfast to reflect that charm, too. It's actually not that easy to find such a place. With so many vacation destinations becoming too crowded and touristy -- and basically losing sight of why they were beautiful towns in the first place -- the chance to feel grounded, relaxed and connected on vacation has diminished over the past 30 years. Some people just want peace and quiet, but without being bored to death -- in other words, the best of both worlds with space for oneself and enough things to do. Is there a place to strike that balance? Yes, and Historic Deerfield might just be that place for you. This small quintessential western Massachusetts village located off all area main roads, is one of the last remaining “pure” New England colonial villages remaining in the six state region. Settled in 1669, Deerfield is a rarity -- that is, one of the only towns formed by English colonists along the eastern seaboard that, to the best of its ability, has preserved its original town presence and vision. Perhaps best known as the home of Deerfield Academy -- a boarding school founded in 1797 -- the village's appeal actually goes way beyond that esteemed academic institution. 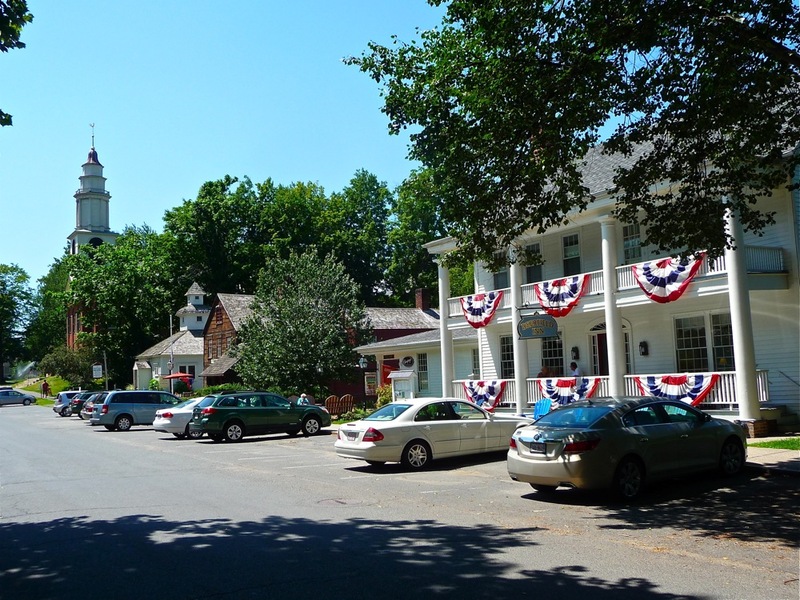 The village is a gem with about a mile of about two dozen beautiful 18th and 19th century old homes lining Old Main Street, as well as the chance to take a self-guided or professionally guided tour (through Historic Deerfield) of museum houses with period architecture and furnishings and examples of Yankee work ethic. This includes presentations and exhibitions of colonial-era trades like crafts, ceramics, furniture, textiles and metalwork. 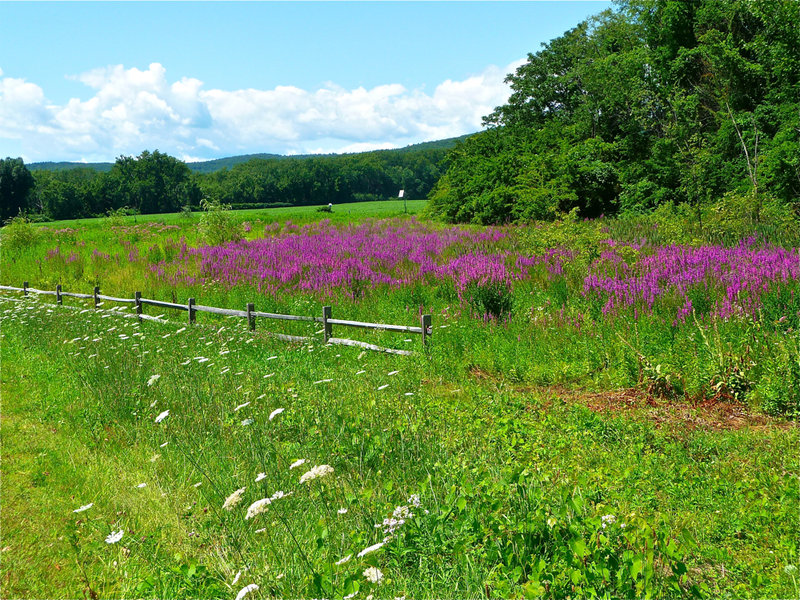 The tour is truly a great way to focus on the history and culture of the Connecticut River Valley and early New England. If you need a little bit more to do in the area, however, there's the Yankee Candle flagship store in South Deerfield, the vast Berkshires of Western Massachusetts with its cultural venues and scenic beauty, and nearby Shelburne Falls with the spectacular Bridge of Flowers and Glacial Potholes. The "busy" section of Historic Deerfield. 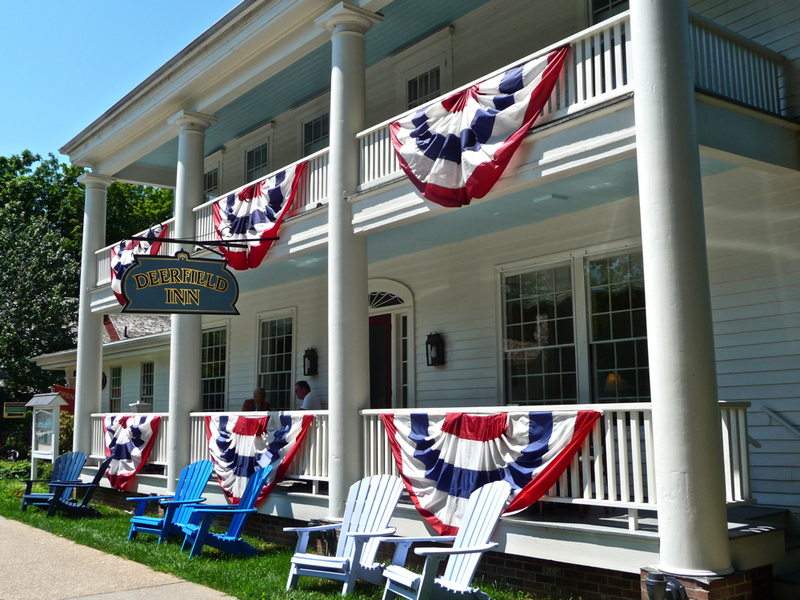 The Deerfield Inn is the only place to stay in the village, so thank goodness it's a good one! The prototype for a classic New England bed and breakfast inn, the Deerfield Inn resonates with remarkable small town New England preservation. The Deerfield Inn fits in quite nicely with the amazing historic New England scene of Old Deerfield with its freshly white painted, welcoming preserved structure, inviting front first and second floor porches, stately pillars, close-to-the-street presence with very little front lawn (typical on many historic New England main streets), and well-placed Adirondack-style chairs (OK, that wasn't part of old-time America but it still looks nice!). Inside, the historical nuances and creaky nooks and crannies remain intact leading to 24 rooms (11 in the main building, 13 in the carriage house), and a restaurant and tavern open to the public for lunch and dinner (breakfast is included for inn guests). Although imperfect architecturally -- so typical of old New England buildings -- the Deerfield Inn keeps up to date with a fully restored look that does not compromise its innate charm and character. The outskirts of the village. 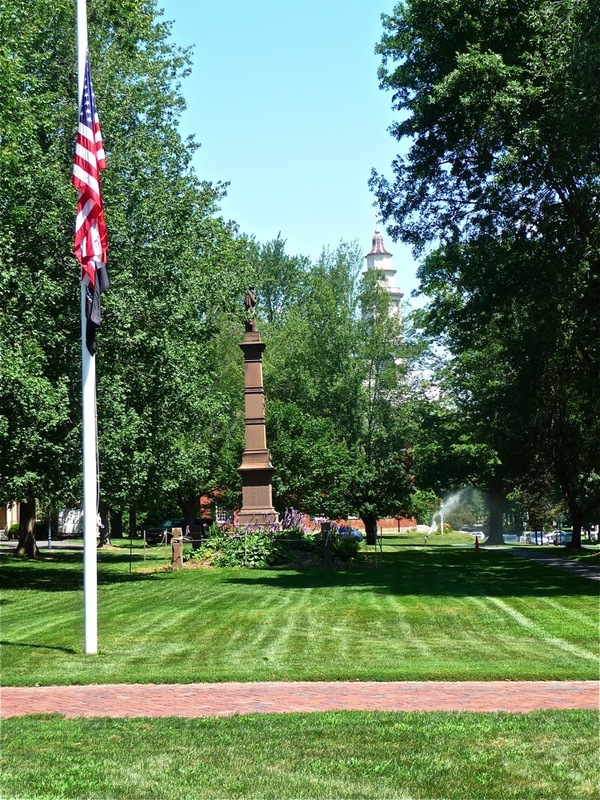 Back in the village, the brick, the clapboard, the proud, tall standing flagpole in the middle of town, and a beautiful town green create an authentic travel atmosphere that is rare in today's busy, contrived "You can have it all" tourist towns. There's not one phony bone in this treasure of a village. Log onto Historic Deerfield for more information about tours. Interested in your local business becoming part of our New England community? VisitingNewEngland business partnerships started on Jan. 30, 2017, and differ than feature articles previously posted on VisitingNewEngland. Businesses pay a small, one-time fee to have pages like this appear, and first must be accepted by VisitingNewEngland.com editor and publisher, Eric Hurwitz, as a business he approves as part of "real New England travel" to keep the integrity of the site. Businesses that sign up for business partnerships receive priority by receiving more social media exposure and link placement on VisitingNewEngland.com. Contact me if interested in forming a business partnership.